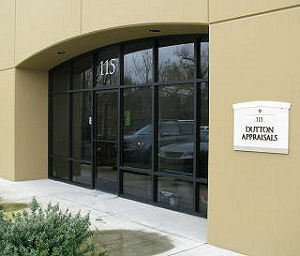 Dutton Appraisals office is located in Healdsburg and George Dutton pledges to provide timely, accurate and thorough appraisal reports for Sonoma and Mendocino County properties. Owner George Dutton and assistant Cheryle Belli are available to assist you with your appraisal needs. Marketed and managed properties in development; negotiated sale-leaseback for commercial properties directly and through brokers. Solicited and awarded general contractor bids; negotiated all subcontracts; consulted with engineers and architects on design, coordination and building of specific projects; directed acquisition and delivery of materials. Processed applications through county and city planning and building departments for permit and project approvals. Licensed State of California Certified General real estate appraiser. Our office offers services unique in the appraisal industry.